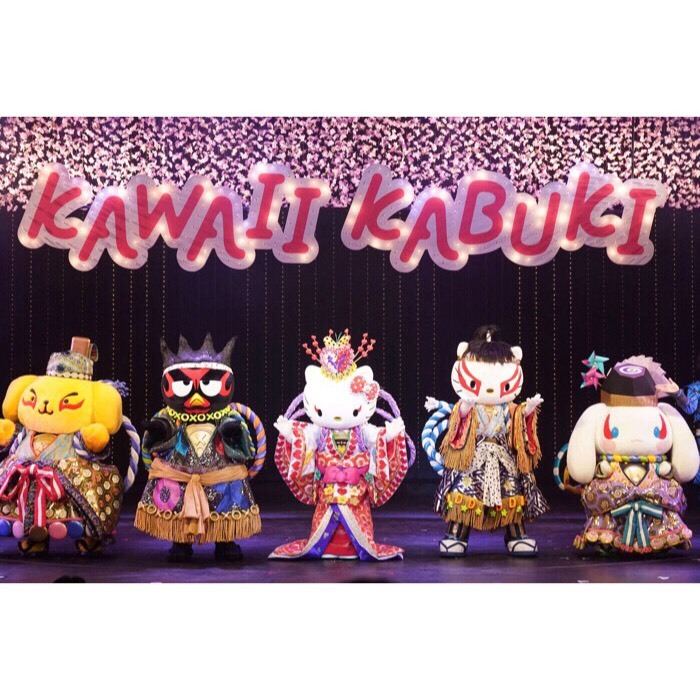 A press conference was held on the 7th of March (Wed.) and persons who are related to the play such as Kensuke Yokouchi who produced the script/rendition/lyrics of the play (he has been producing “Super Kabuki”) and Esaburo Ichikawa, a kabuki acting coach, participated in the press conference. 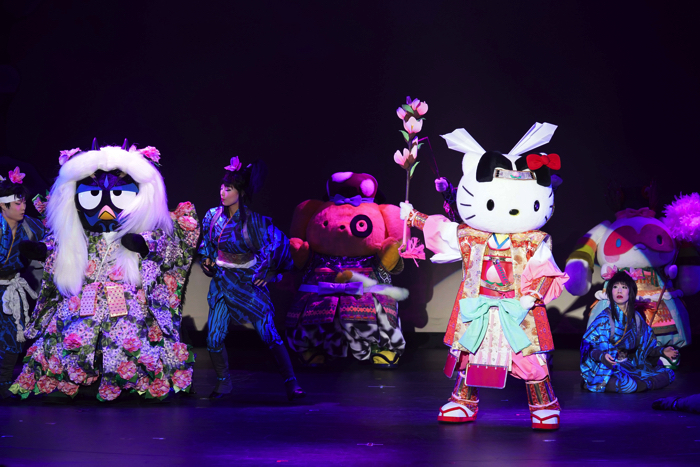 Also, Sanrio’s characters including HELLO KITTY appeared on the stage. 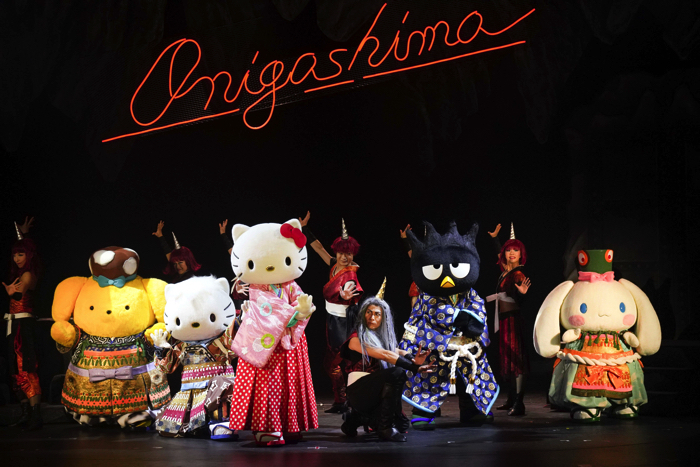 It can be said that it is a new type of “spectacle entertainment show” using projection mapping and the motif of kabuki. 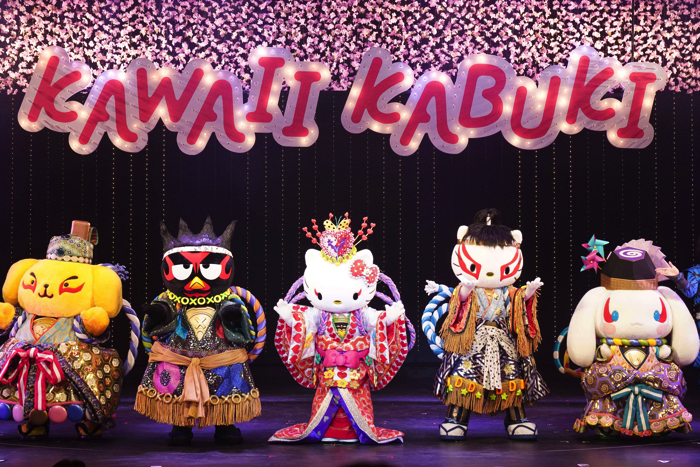 The performance incorporates both the “kawaii” of Sanrio and the traditional “wa” culture of Japan. 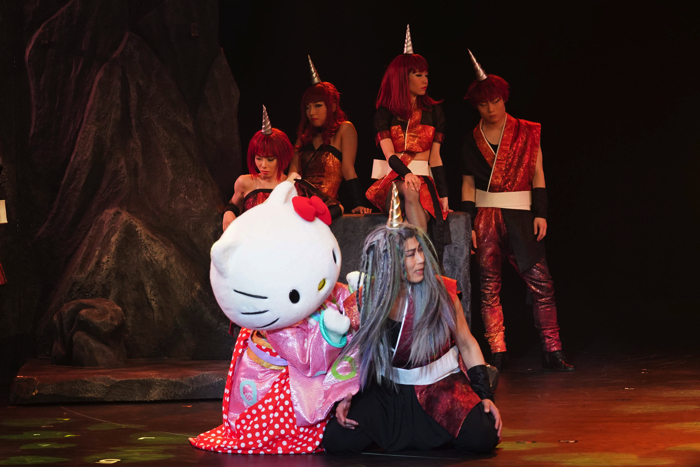 Let’s enjoy Sanrio’s new type of collaborative musical of Sanrio characters and kabuki!